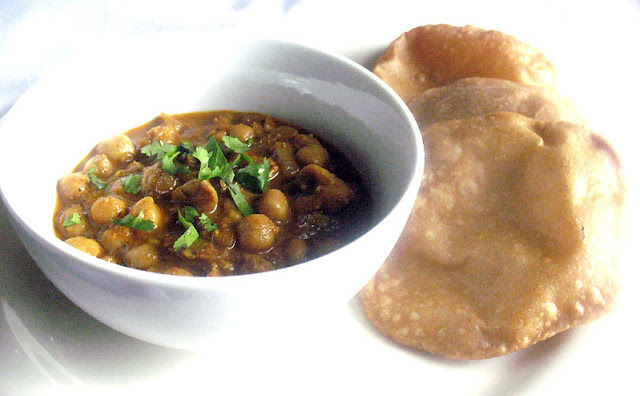 Chana and chole mean chickpeas, and a masala is a blend of spices in powder or paste form. Chole masala and chana masala then are the same kind of dish, but there are many different variations depending on the region of northern India and the choice of spices. One thing that all chole masalas have is a spicy and tangy sauce made almost always with onions and tomatoes. I've showcased several versions of chana masala on my blog, but I always enjoy playing around with different variations. This version is quite rich despite the lack of any ghee or cream, and it's aromatic and spicy besides, but as always feel free to adjust the spicing according to your taste or tolerance. A tea bag added to the chickpeas while they cook lends a depth of flavor to the dish and, depending on the type of tea used, it can add a delightful fragrant aroma and just possibly a touch of smoky flavor too — but mainly it is used to darken the color of the chole masala. Feel free to omit it as the real flavor and beauty of the dish comes from the homemade spice blend and other spices that are added to the simmering gravy along with the tomato. This dish goes well with steaming hot fresh cooked basmati rice and Indian flat breads. I made homemade poori breads to go along with the chole masala, which I have yet to perfect as I had hoped they would come out puffier, but they were nonetheless delicious and it was my first attempt at making them. I have made numerous other homemade Indian flat breads in the past with great success and was inspired to try something a bit different. At any rate though, this version of chole masala is a definite winner! Rinse the chickpeas and soak for 8 hours or overnight in several inches of water. Drain and rinse, then transfer to a large saucepan and cover with fresh water. Add the tea bag and bring to a boil. Reduce the heat to medium-low, cover, and simmer until buttery soft, about 1 to 1 1/2 hours. Remove from heat and discard the tea bag. Drain, reserving 1 1/2 cups of the cooking water, and set aside. Meanwhile, combine the masala ingredients in a medium heavy-bottomed saucepan. Dry roast the ingredients over medium-low heat, stirring often, until the contents of the pan darken a few shades. Be careful not to burn, but continue to dry roast even after they begin to darken and are fragrant. Remove from the heat, let cool for a bit, and then transfer to a spice or coffee grinder and process into a fine powder. Set aside. Heat the oil in a large heavy-bottomed saucepan over medium heat. When hot, add the onion and sauté for 6 to 8 minutes or until the onions begin to brown. Toss in the garlic and ginger and stir for another few minutes. Now add the ground powdered masala, turmeric, amchoor, Kashmiri chili powder, garam masala, mustard powder and anardana if using. Stir for another minute until fragrant. Add the fresh chilies and tomatoes and cook, stirring often, until the tomatoes have softened and begin to thicken. Pour in the cooked chickpeas and stir well to coat. Pour in the reserved chickpea cooking water and add the salt. Stir well and bring to a simmer. Reduce the heat to medium-low and cover. Simmer for about 20 minutes, stirring occasionally. Add more water if desired, or mash a few of the chickpeas to achieve your desired consistency. 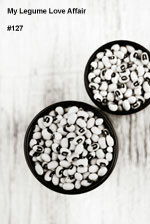 The chole masala should be brothy but not too watery. Stir in the lemon juice, taste for seasoning, and serve hot garnished with fresh chopped cilantro or chopped onion if desired. The chole masala goes well with hot fresh cooked white rice or Indian flat breads. This is my contribution to My Legume Love Affair, a monthly event administered by me, and kindly hosted by Jagruti for the month of June. Please see her post for details. Lisa, hope you are feeling better now. 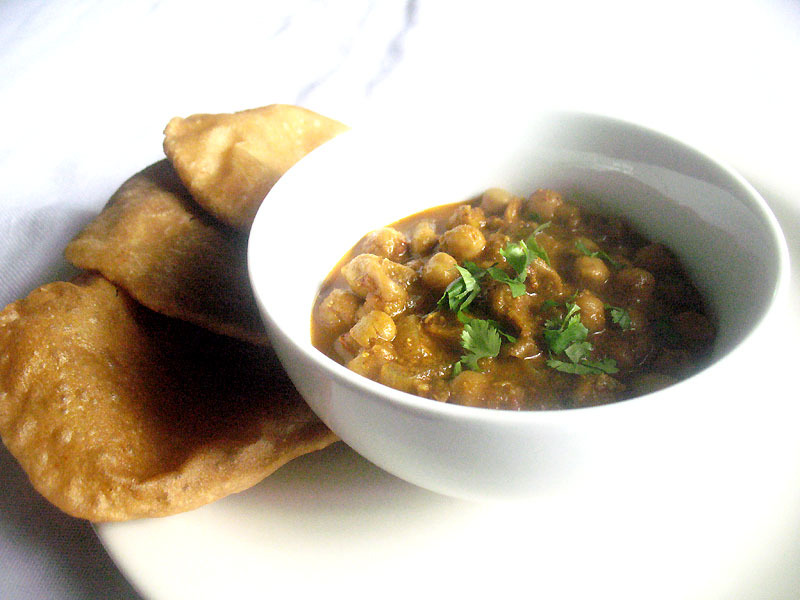 Chole masala is one of our favourite dish at home, we are ready to eat any day. 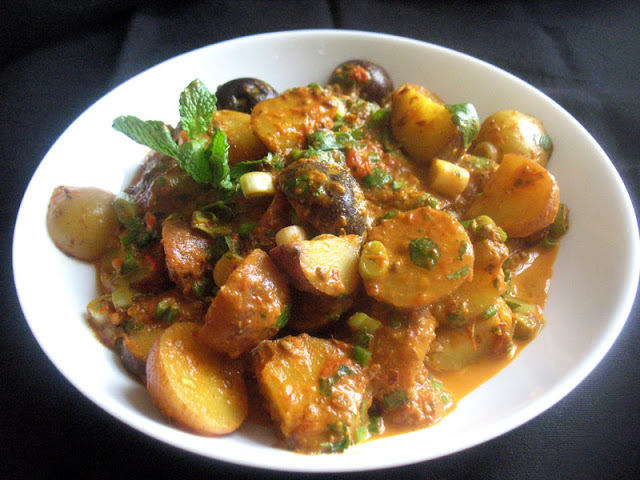 Such a delicious and tasty curry that goes well with roti or rice. Thanks for linking it to MLLA#120.